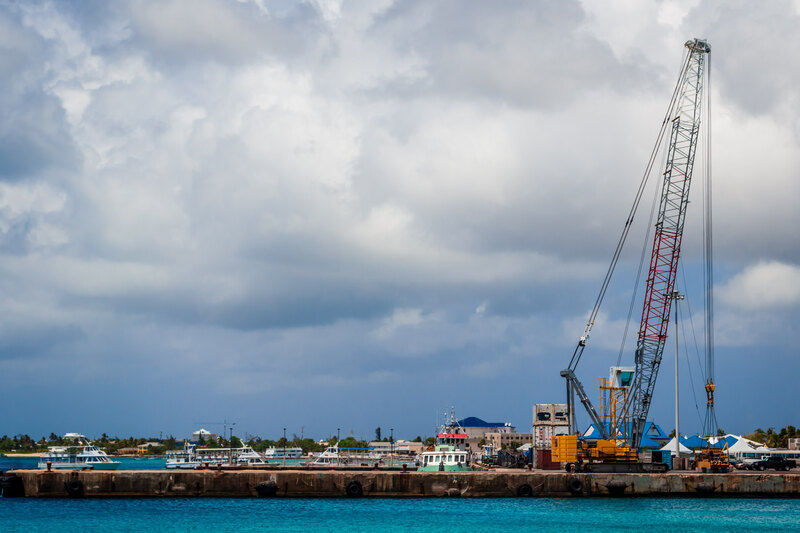 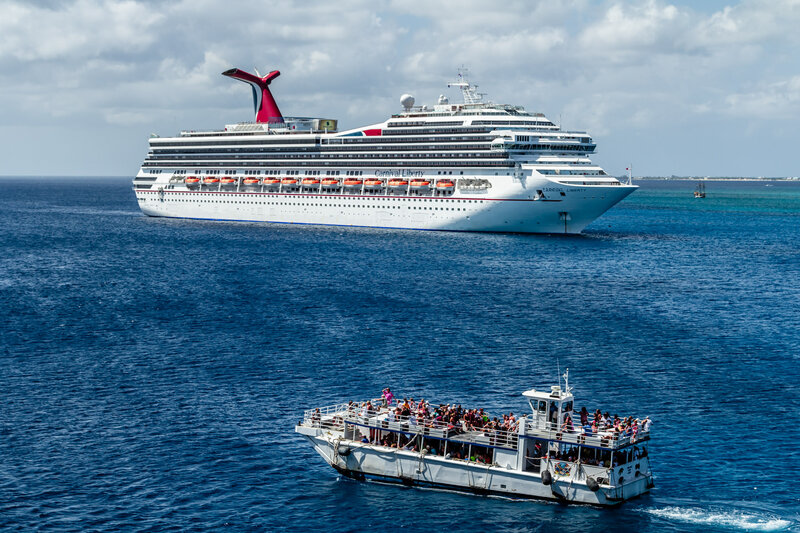 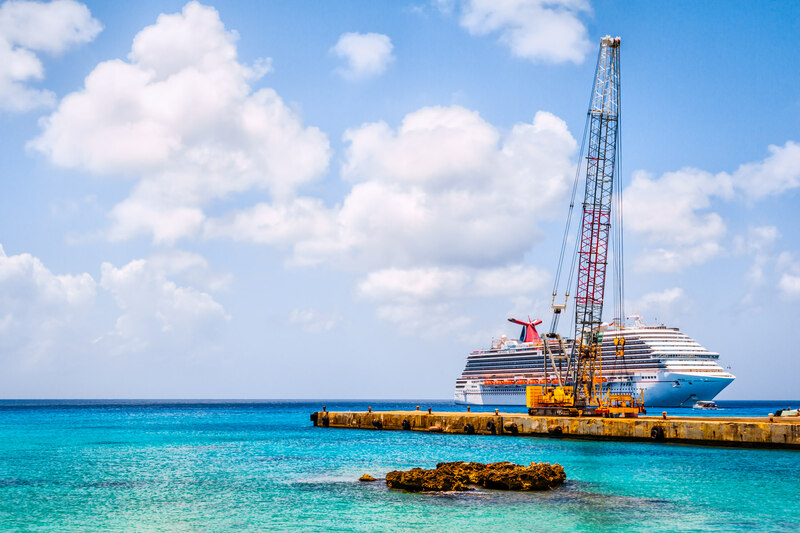 The cruise ship Carnival Magic is obscured by a crane on a nearby pier along the waterfront in George Town, Grand Cayman. 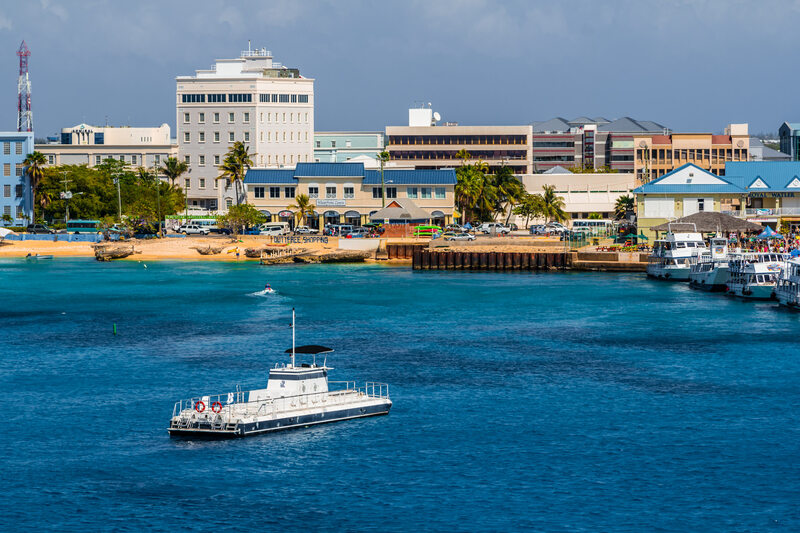 Low-slung buildings rise along the colorful coast of George Town, Grand Cayman. 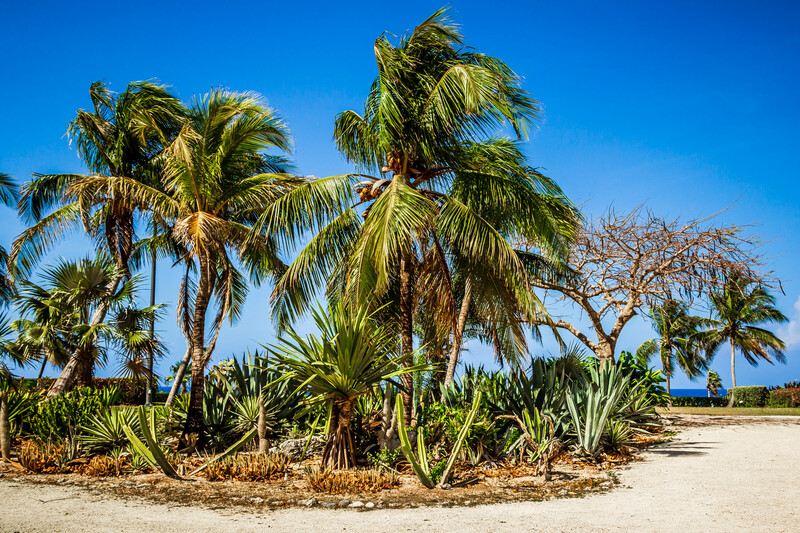 Palm trees at the Pedro St. James historic site on Grand Cayman. 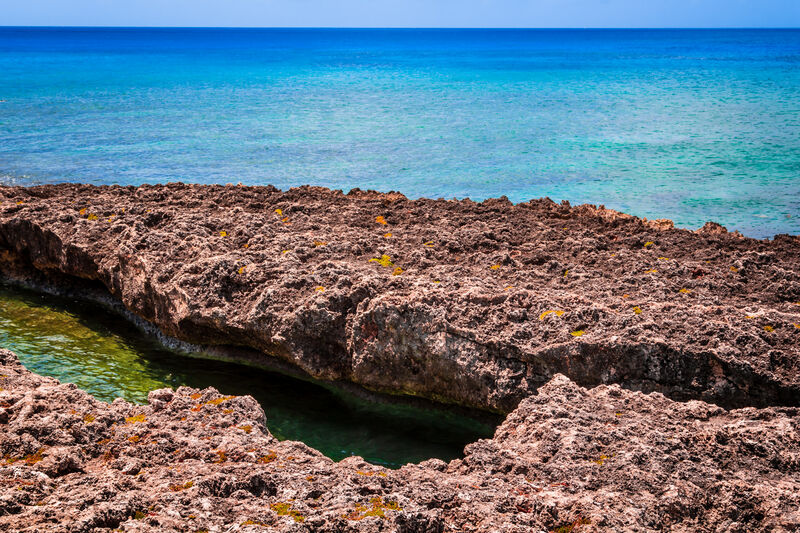 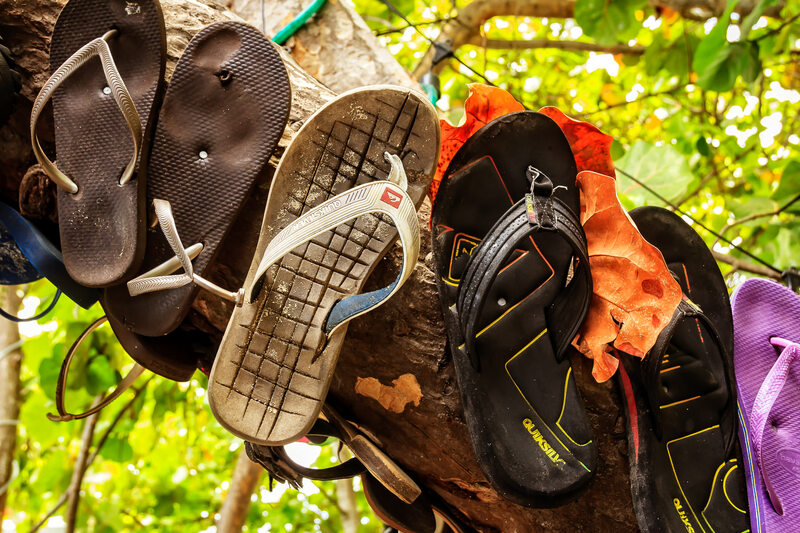 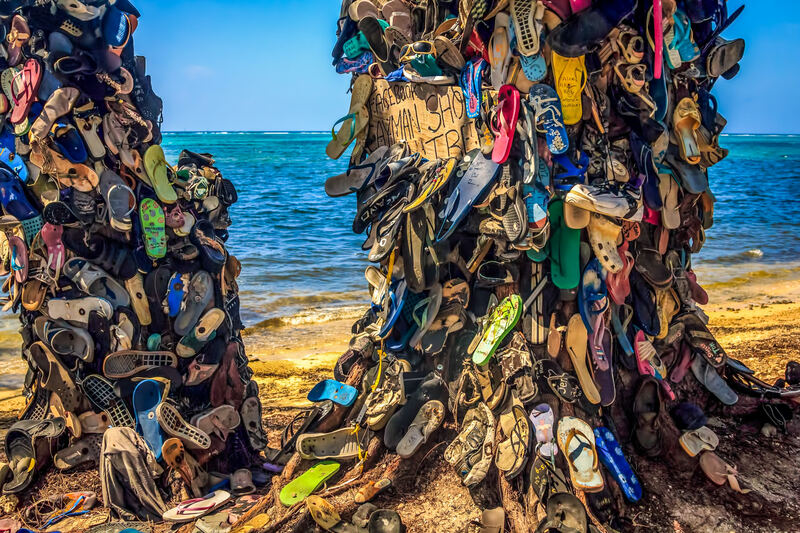 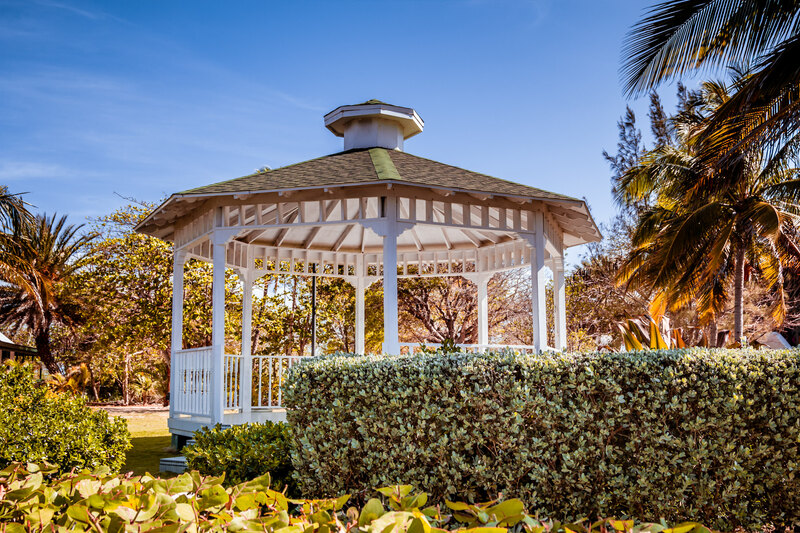 Known to the residents of and visitors to Grand Cayman as the “Cayman Shoe Tree” (although it’s actually two trees), this local landmark is a depository for orphaned shoes found on the beaches of the island, as well as a reminder not to litter.